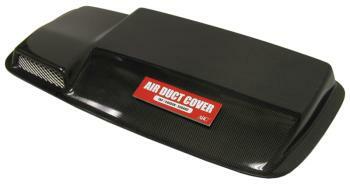 ARC Hood Scoop - Dezod Motorsports Inc - Home of the automotive performance enthusiast since 2002. Innovation every step of the way defines the ARC Hood Scoop. The ARC Hood Scoop incorporates a 2-Way system, which allows cold air to enter the engine bay, which is then directed at the turbocharged and other components – as well as an exit duct for letting hot air escape the engine bay. Available in lightweight Carbon or FPR.